The Princeton Review named The University of Southern California the top school in the world for video game design. The game design programs at USC are a combined effort from the Viterbi School of Engineering’s Department of Computer Science and the School of Cinematic Arts’ Interactive Media and Games Division. The program was founded in 2005 when the (now multi-billion dollar) video game industry was really starting to come into its own. Over the past decade, about 2,000 students have gone through the USC game design program. This is a school that takes its Game Design programs very seriously. The game design degree is a controversial one. Many of the industry veterans didn’t attend any game design programs because there weren’t many (or any) even ten years ago. Now, game design programs have become more mainstream. Many colleges are creating and refining the program to attract students like you. But not all programs are created equal, which is why we’re deep diving into the USC video game design program. The Princeton Review ranking is certainly a good sign, and on paper, the USC game design programs look pretty impressive. Hang around game design programs long enough and you’ll realize everyone claims their program actually prepares students for the industry. With the USC game design programs, as we’ll discuss in detail later, many graduates leave the school with a job lined up. Let’s take a look at the most relevant programs, so you know what to expect from the curriculum. Now, let’s look at these programs a little more closely, shall we? USC takes the hands-on approach–you’ll make games at every level of the program. As your skills improve, you’ll develop familiarity and competency in a number of digital media arts. This program lets you earn multiple industry specializations. The opportunity for specialization will broaden your skills and increase your value to companies after graduation. Your game design education in the Interactive Media & Games program will focus on innovation, collaboration, creative leadership, and team-building. You’ll also spend time on emerging markets and platforms (AR and VR, anyone?). This program also includes a final game development project that spans your final two semesters. Interested in going for your Master’s degree? This program also sets you up for further education in the game development or computer science graduate programs. Your third year in the program will involve a thesis project that spans the entire year. The collaboration element is prevalent here—the program “draws on the strengths of the School of Cinematic Arts”—the whole school. This includes resources from animation, sound production, producing, screenwriting, game design, and critical studies. “The goal of the M.S. in Computer Science (Game Development) program is to graduate students with a core in computer science, an engineering-oriented game development core, and a concentration”. If you love the idea of designing or producing games, then your best bet is the Interactive Media & Games degree from the School of Cinematic Arts. If you’re more interested in technical game development, then you should go with the Viterbi School of Engineering’s Computer Science (Games) degree. All the degrees take the hands-on approach. You’ll be using technology. You’ll be in charge of creative project development. You’ll be learning by doing, rather than hypothesizing and theorizing. Figure out what you want to focus on, and make your decision based on that. What are the USC Minor Programs? 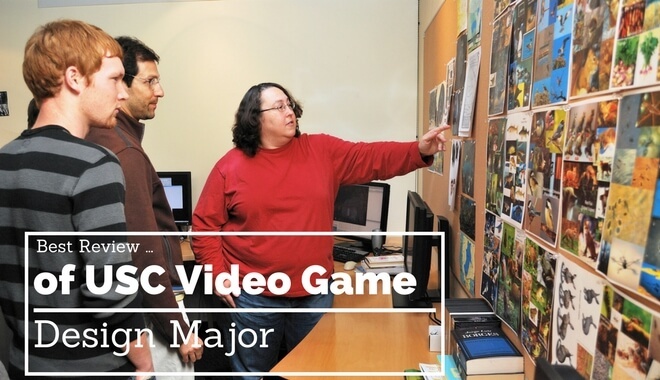 If you’re not sold on a game design major—no problem. It’s not for everyone. If you want formal game design education without committing 30+ credit hours to the cause, a minor might be your best bet. USC offers several minors, and some are more relevant than others. Hands-on experience with new tech, learning sequential approaches to game design, and learning how to test your creations? This is a well-rounded way to get your feet wet in the field. 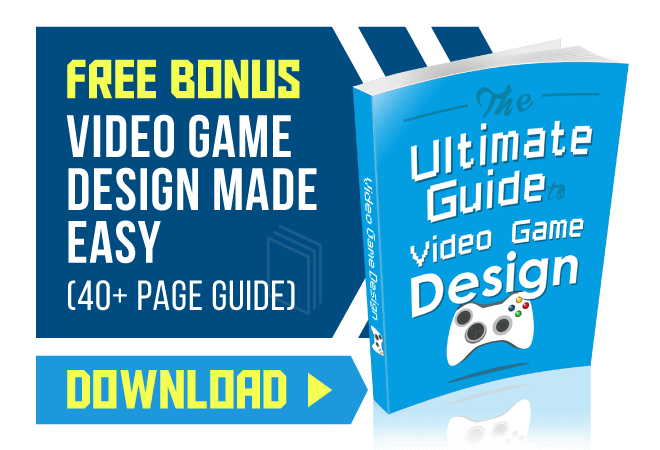 You’ll use game design software tools to build your own working video game demo over the course of the minor. There is a huge roster of faculty supporting these programs. And the industry experience between them is dizzying! You don’t have to search long to see companies and games that you recognize. You Have Tracy Fullerton, for example, who wrote Game Design Workshop—a textbook that is used worldwide in game programs. Richard Lemarchand is the lead designer on a “critical and commercial hit series of games.” You might have heard of the series….It’s called Uncharted. Hao Li was named top 35 innovators under 35 in 2013 by MIT technology review. He’s held positions at Industrial Light & magic (not to mention Columbia University, Princeton University, and more). One more—Matthew Whiting. He’s worked on games like Spyro the Dragon, Ratchet & Clank: Size Matters, True Crime, and more. He has over 15 years of experience in the industry. This is a small taste of some of the professors you have the opportunity to learn from at USC. Professors who have spent years in the industry, who have held positions at studios and companies where you want to work, and who literally wrote the book on some of these subjects. What Else Does USC Have Going On? Flexible, top-rated programs. An impressive roster of faculty. These are great things to have, but on their own, they don’t ensure you graduate with an awesome portfolio or great connections (hint hint—those are what count, not where you got your degree). No, those two things come down to you and your effort. But USC does give you some helpful resources to make those things happen! Here are some other experience-boosting perks that USC offers. You’ll have access to a motion capture stage, a Kinect development lab (in cooperation with Microsoft), and an impressive list of hardware and software available for student use. If you’re interested in the tools and resources you’ll have at your disposal, you’ll want to check out the full list of facilities and technology. USC runs what they call Advanced Game Projects. It’s where students from all across campus get together to try and develop games. Then, on Demo Day, they showcase these projects. It’s like USC’s own little E3. You can peep the whole list for the 2016-17 games on the AGP website. There’s even a game that uses augmented reality (Way more cutting edge than you’d expect from college students, wink wink). There are activities like “game jams” which are hosted by the local student organization, MEGA. Game jams, and opportunities like them, are great places to network with your peers. This school will have hundreds of people like you—like-minded creatives. 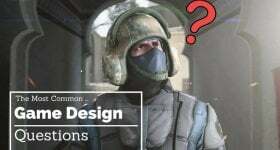 People looking to design great games. People looking to push the boundaries of current technology. People who want to create for the sake of creating. It’s these opportunities that will help you succeed after college. USC will let you tap into a great network of game makers. Just look at where the alumni work: Electronic Arts, Activision Blizzard, Disney Interactive Games, Naughty Dog, Jam City, Treyarch, and more. It always comes down to the time you put it, not the place you go. If you do decide to go to USC, make it count.